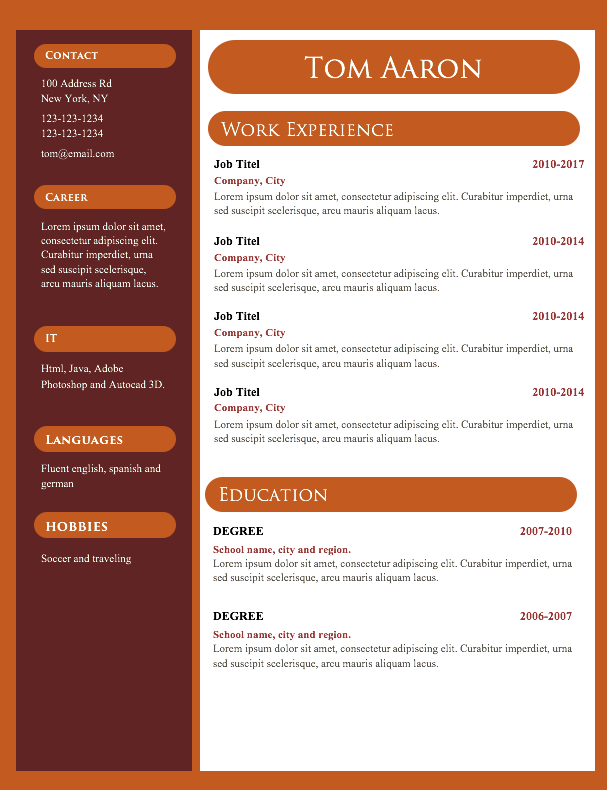 We offer free creative CV templates for your job application – Please use these templates to apply for jobs in both creative and traditional fields: art director, banking, programmer etc. 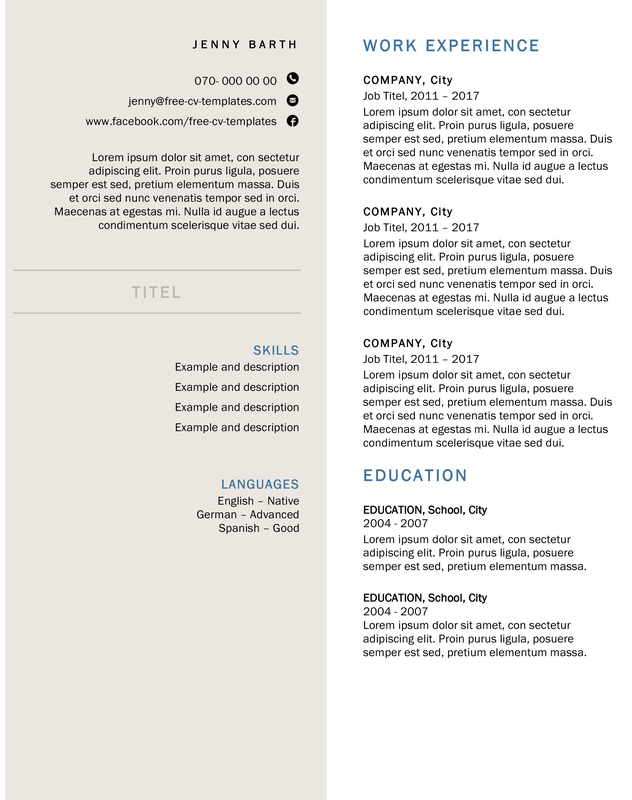 All the resumes/CV’s on this page have a creative touch and a great and well thought through structure. This is one of our more advanced and creative templates. 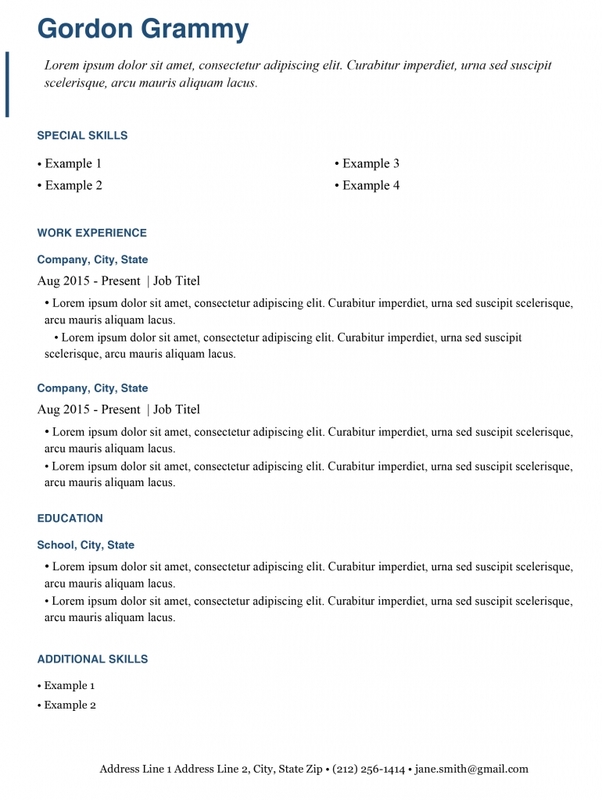 This one will impress employers for sure and leave your resume on top of the pile. 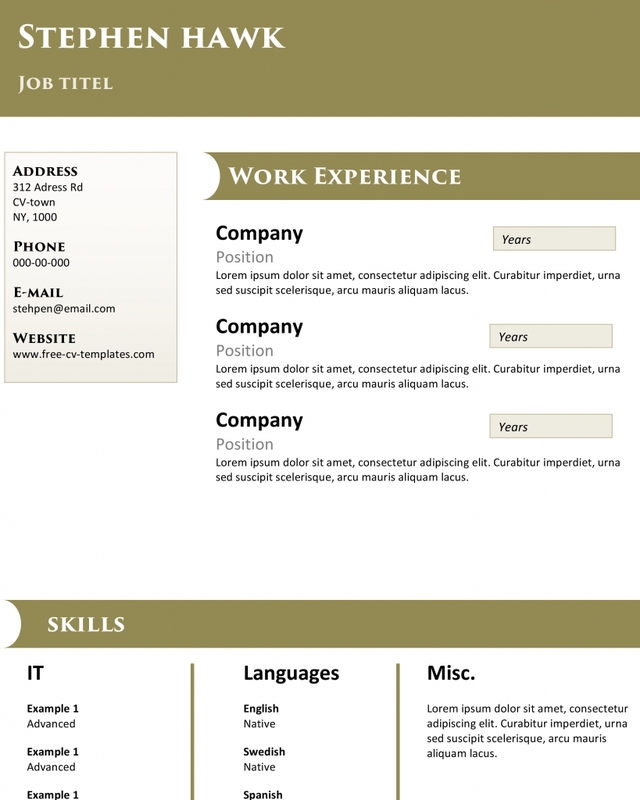 Gordon Grammy is a lovely template that will for sure impress and interest employers all over. 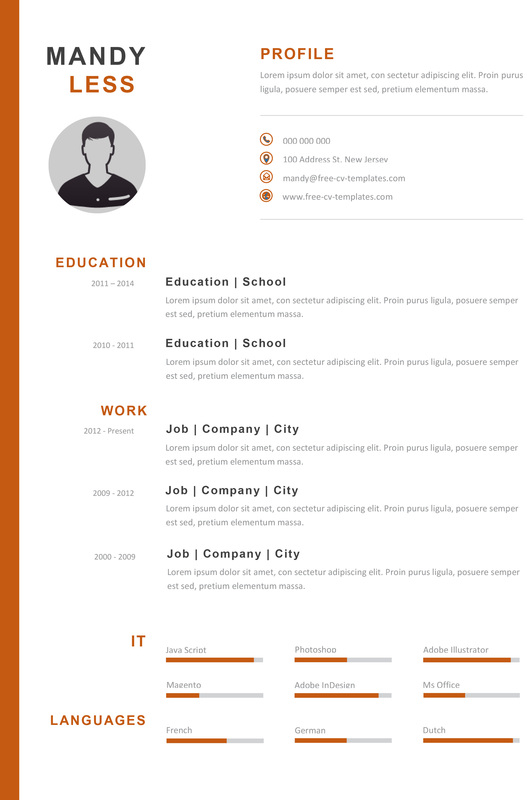 A template that requires some Office-skills. Not the most advanced ones but you need to know how to work with text boxes. 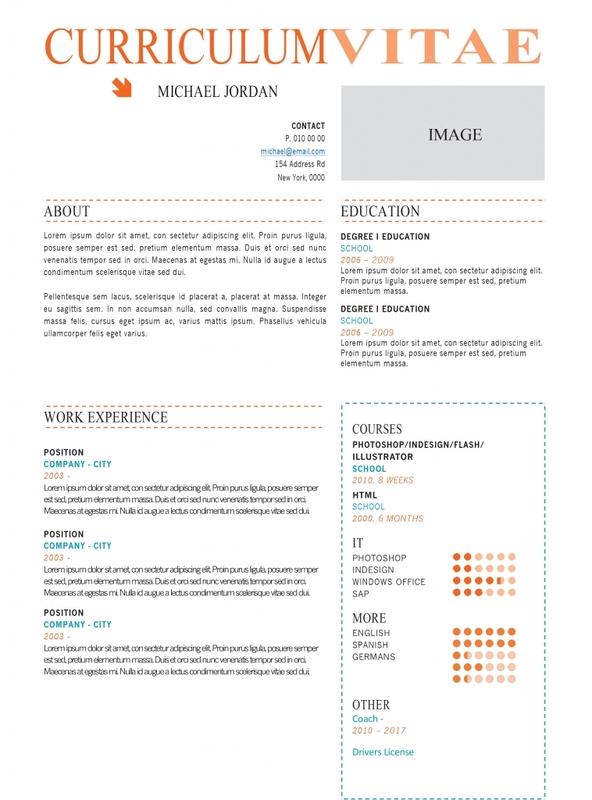 Another of our creative CV templates. This template requires you know your way around MS Word. Beautiful layout that will impress everyone thats reads it. Download it for free. 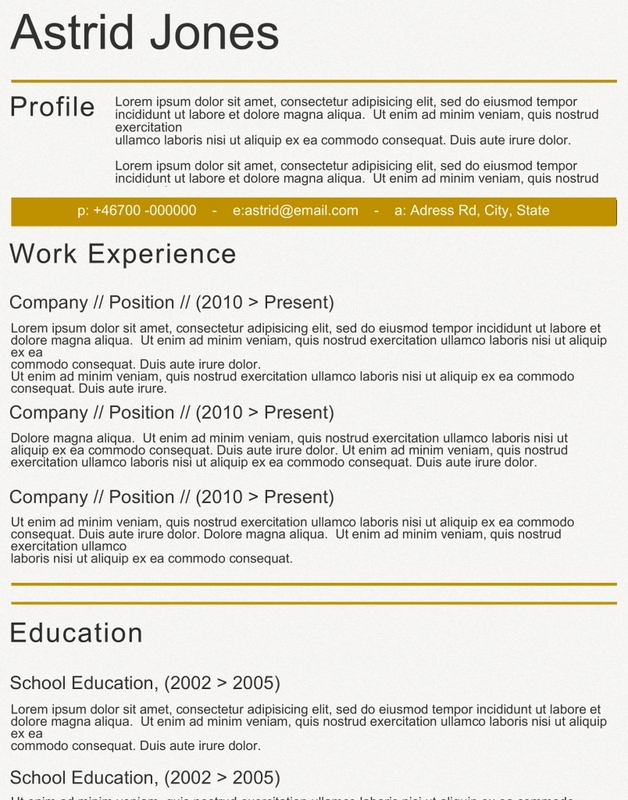 Beautiful CV and resume template with all the elements you need. 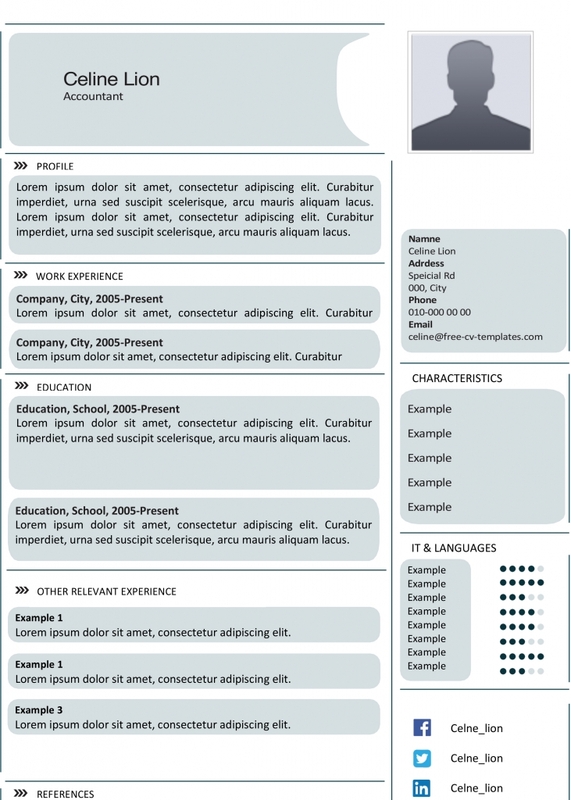 Add a short description about yourself, describe your work experience and education and do a self-assessment. 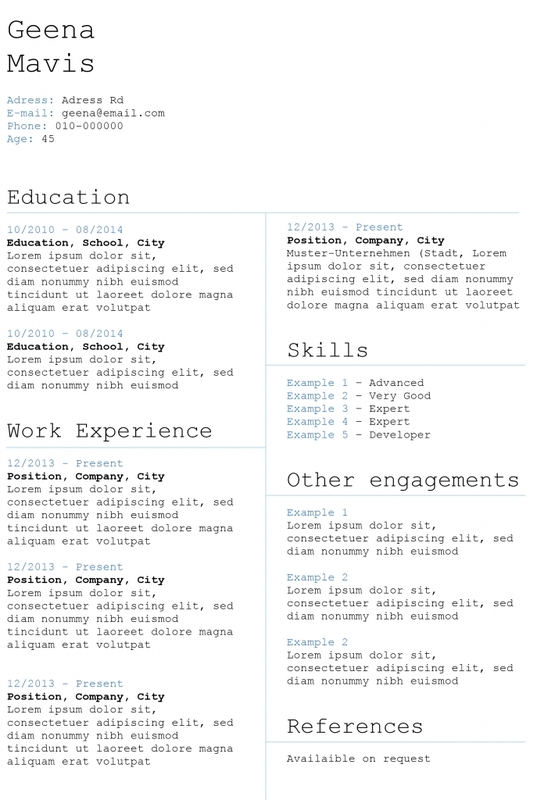 One more of our creative CV templates. 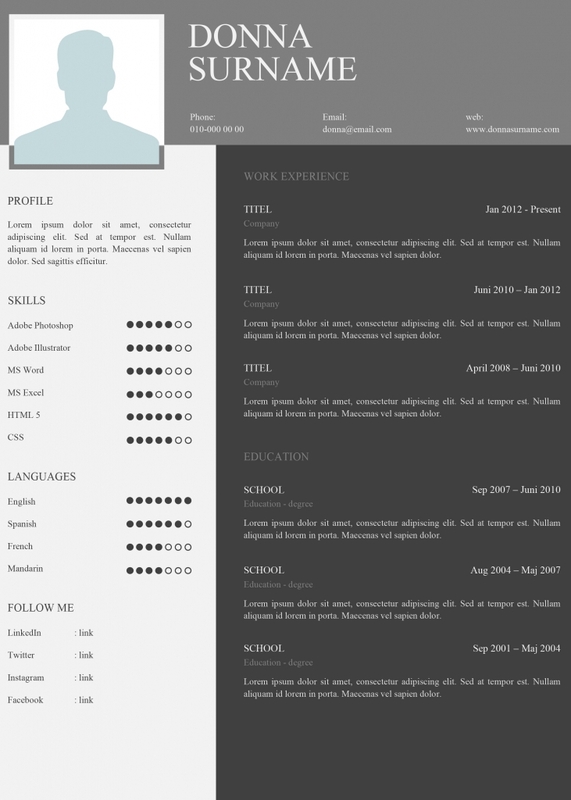 Great looking CV/Resume template that will get the recruiter’s attention. With this template you can fit a lot of valid and important information in a small space. 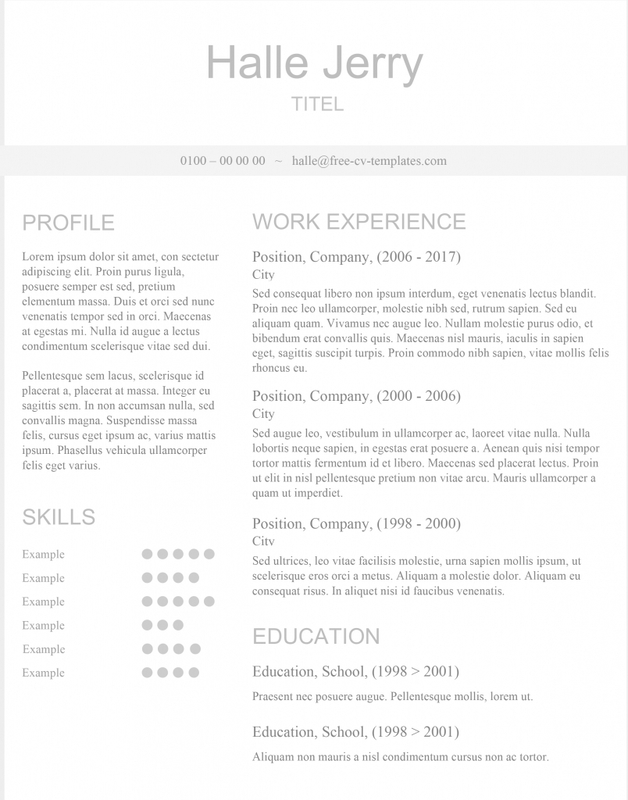 Lovely CV template built with text boxes to give you better possibilities to customize it.